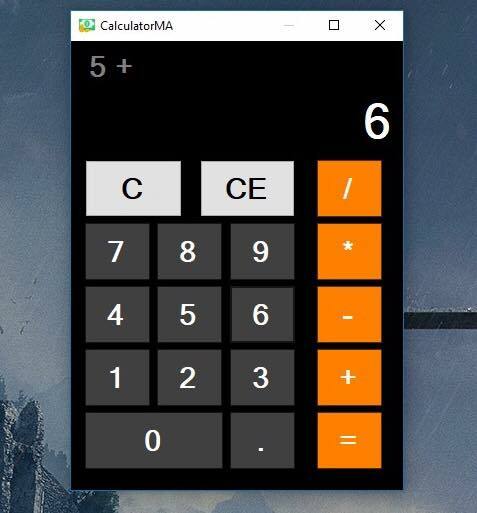 This is a normal Calculator designed by myself with Microsoft Visual Studio 2017. I had used C and C++ programing language for this app. 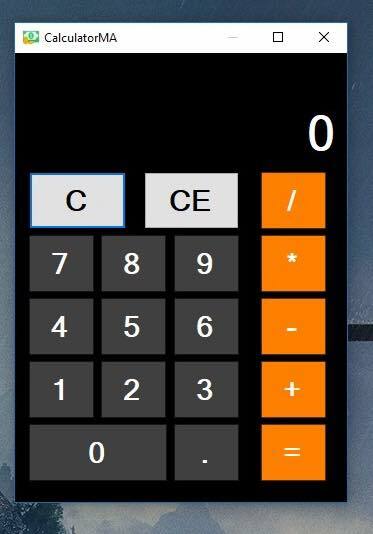 I designed it to look like the calculator of the iPhones because... the theme is very cool and nice, so they are the same but it is for all versions of windaows (WindowsXP, Windows Vista, Windows7, Windows8, Windows10). I named it CalcualtorMA because actualy M is the first letter of my first name and A is the first letter of my second name. 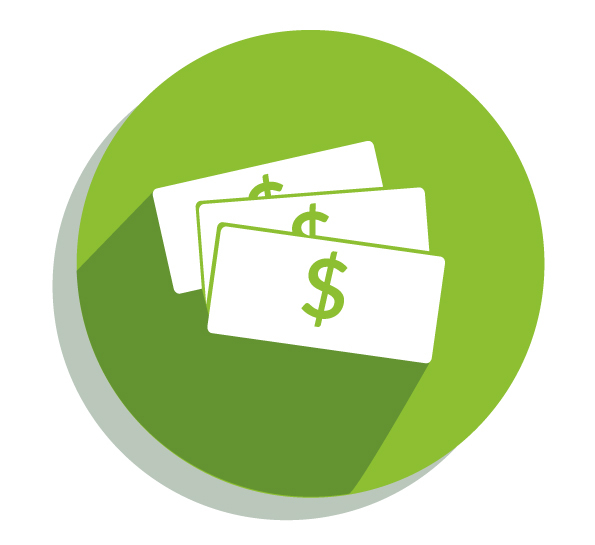 CalculatorMA is very simple, fast and smart so the work with it is very easy and fast.